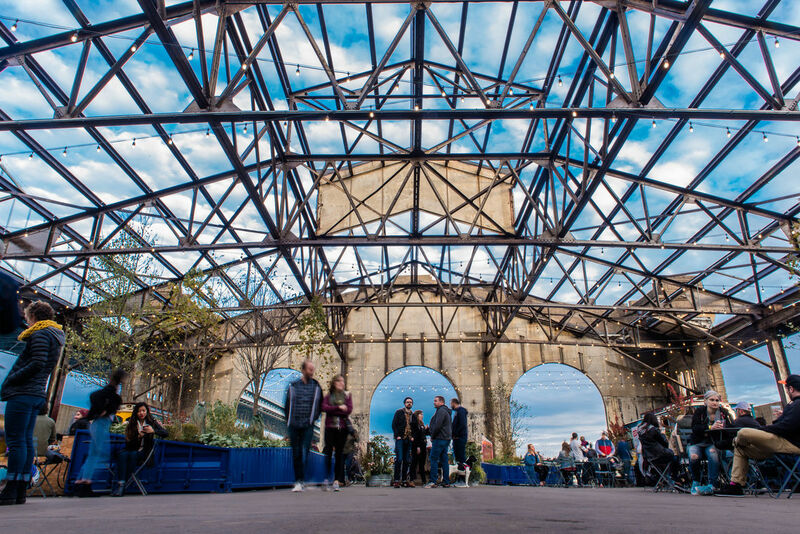 Featuring food offerings from local Philadelphia restauranteurs served out of retrofitted cargo containers on the boardwalk. The local vegan fast-casual restaurant that has garnered a cult following. Chickie’s & Pete’s on the boardwalk will be serving their signature seasoned fries alongside cheesesteaks, crab pretzels, pizza, and the park favorite, Sweet & Crabby Kettle Corn. S.S. Franklin Fountain: The S.S. Franklin Fountain, a shipping container inspired by 30s and 40s naval ships, is back again this season serving a multitude of tasty treats. New this year is "The Sink" which gives guests the chance to build their own ice cream sundae. Franklin Sugar Shack: The Franklin Sugar Shack is an island hut brimming with real fruit fancy ices, old-fashioned soft serve custard and tropically inspired drinks using fresh-pressed sugar cane. 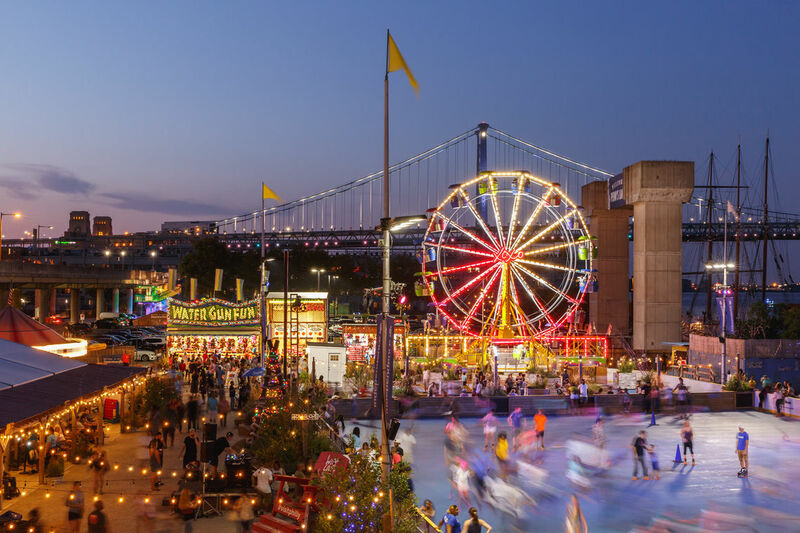 Food concessionaire Daniel Rivera, a waterfront partner for many years, will continue to serve staple summer delights: funnel cake, water ice, fried Oreos, lemonade, hot dogs, braided pretzels, and new this summer—multi-colored, grape and lemon cotton candy and snow cones. 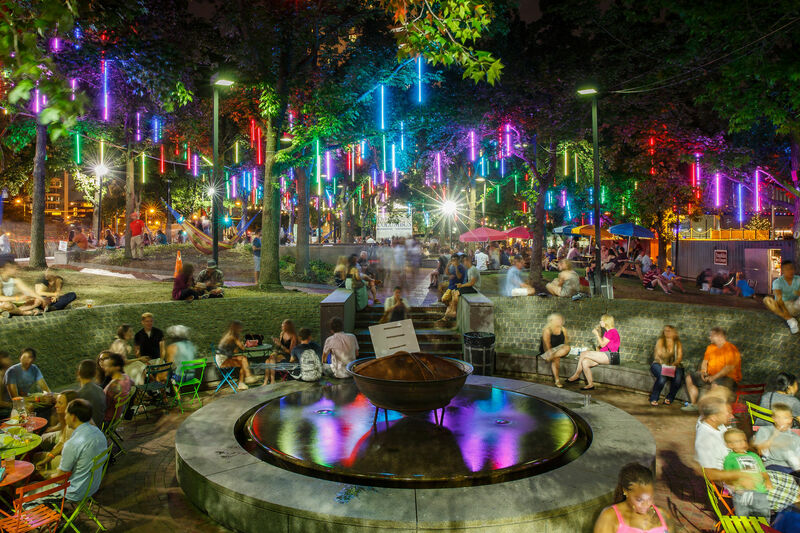 For the fourth year, Spruce Street Harbor Park Sustained by Univest will be serving the collaboration beer, Yards Lazy Hammock IPA. 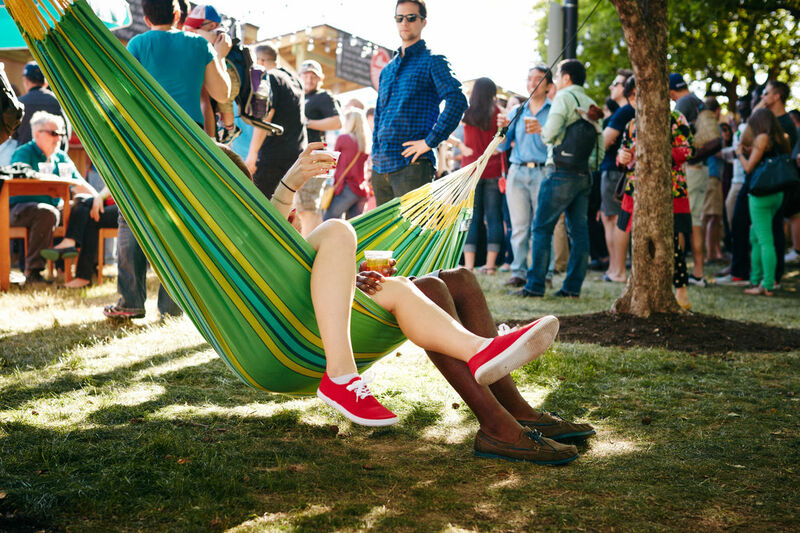 The beer is like a lazy summer afternoon swinging in the trees, you’ll never want it to end. Hopped over and over with Mosaic and Wakatu hops, Lazy Hammock IPA drifts back and forth between notes of tangerine and papaya. Steeped with kaffir lime leaves, each sip finishes with a bright citrus “ahh,” just like settling in for a nap in the hammock.